There is not a better facility to hold the Snow Valley Basketball Camp than the University of Northern Colorado! 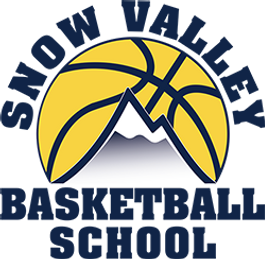 The Snow Valley Basketball School is recognized as one of the nation’s top schools for improving individual basketball skills and is now heading into its fourth year in Colorado. During the session, players will participate in a minimum of nineteen clinics designed to make you a better individual player. A Personal Player Profile Report Card will be kept on each camper throughout the week and presented on the last day. This Report Card will note particular strengths and weaknesses and offer personalized suggestions for continued improvements. Daily game competition against campers of the same age and ability level is included. We design our program to have a ratio of eight players to each coach and we promise an excellent series of total basketball immersion! Campers will stay overnight in the dormitories at the University of Northern Colorado in Greeley, Colorado, and work with the staff on their basketball skills for 10-12 hours per days in clinics, skill sessions and games. Registration is $575. If you are ready to dedicate yourself to taking your game to a new level, come work with us at Snow Valley! Daily instruction, lectures and demonstrations on the fundamentals with personal evaluation. Report Card and discussion on skills. An outstanding group of experienced high school, college and professional coaches selected for their ability to teach players of all ages. Team competition against players of similar ability with each participant playing at least half of every game. Tuition includes overnight lodging, meals, instruction, Snow Valley T-shirt, written player evaluations and more!